My name is Ben Ahlersmeyer and I am the pastor at St. Peter. 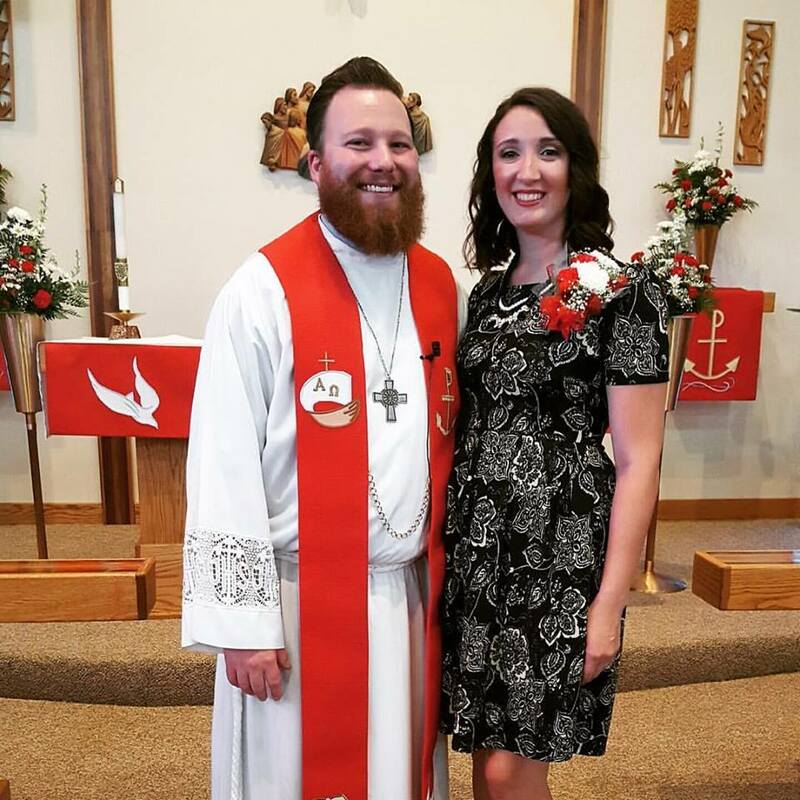 My wife, Melissa, and I are thrilled to be serving St. Peter and the community of Portage. If you were to ask me to tell you one thing about myself I would say that I am, first and foremost, a child of God. All that I am and all that I strive to do flows from that identity. That is what we emphasize here in the community of believers at St. Peter. Our core identity, above all else, is that we are redeemed and forgiven children of God. This identity is earned for us through the death and resurrection of Jesus Christ and declared to us in our baptism. This identity is what informs how we worship, serve others, and fellowship with one another. As a congregation of the Lutheran Church – Missouri Synod, we are committed to the unchangeable truths of scripture in our sermons and education. We value the Word of God and the administration of the sacraments. We believe that the word of God is relevant and applicable to our daily lives today. Above all, we value the preaching of the gospel of Jesus Christ and mobilizing our members to share that in their homes, jobs, and neighborhoods. We strive to be Christ’s ambassadors in Portage and we invite you to come along with us!